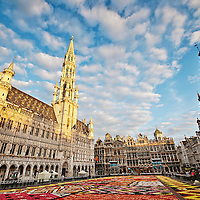 Beautiful Belgium Stock Photography - Brussels, Bruges, Flanders, Wallonia and more. 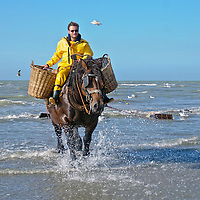 Belgium's UNESCO protected Shrimp Fishermen on Horseback at Oostduinkerke, in Flanders, Belgium. 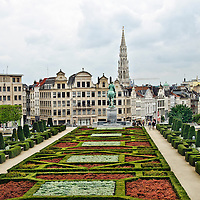 Brussels, Belgium Travel Stock Photos. Including Art Nouveau architecture from Brussels, Brussels churches, Grand Place, The European Commission and the Flower Carpet. 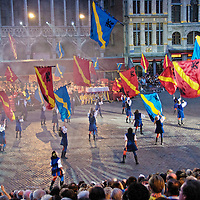 The Ommegang festival in Brussels, Belgium is recognized by UNESCO as a special historic, cultural event. Flanders is the Northern half of Belgium where Flemish (similar to Dutch) is spoken. 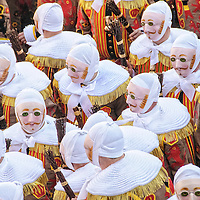 Major cities include Antwerp, Leuven and Hasselt. 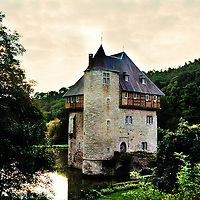 The Southern, French half of Belgium is known as Wallonia. 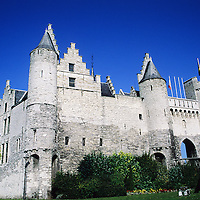 Cities in this region include: Dinant, Namur and Liege. Wallonia is known also for the Ardennes mountains. 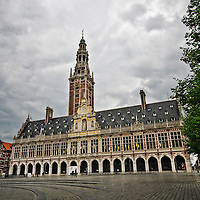 Leuven, or Louvain in French, is the capital of Flemish Brabant in Belgium and is home to the Katholieke Universiteit, or Catholic University, KU Leuven. The city has a vibrant nightlife, great museums and good food. 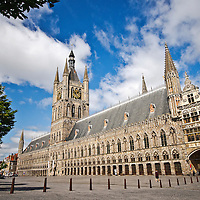 Ypres, Belgium is famous with British Commonwealth tourists as the site of some of the worst fighting during WWI. The fallen soldiers are commemorated in monuments like the Menin Gate and the IN Flanders Fields Museum. 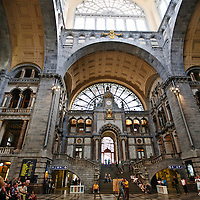 Antwerp Belgium, Antwerpen in Flemish and Anvers in French, is the capital of Antwerp province in Flanders. 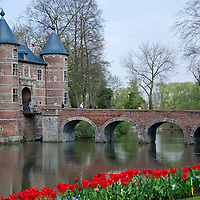 Architecture includes Het Steen Castle and Onze-Lieve-Vrouwekathedraal. 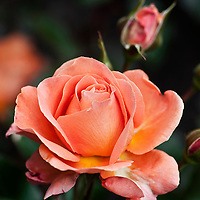 Coloma Rose Garden in Belgium has more than 30,000 bushes and 3000 varieties of rose. It is one of the largest rose gardens in Europe. 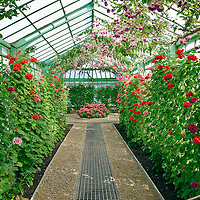 The National Botanical Garden of Belgium, in Meise has a vast collection of flowers and plants. Included in this gallery are photos of the world's Largest Flower, the Titan Arum, as well as waterlilies, Iris, Poppies and many tropical Plants. The Hallerbos (Dutch for Forest of Halle) is a public forest in Belgium, located about 15 Kms south of Brussels. 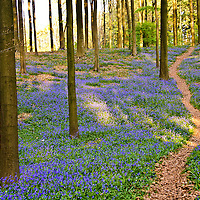 Each Spring the forest floor turn blue from bluebell flowers (Hyacinthoides non-scripta). 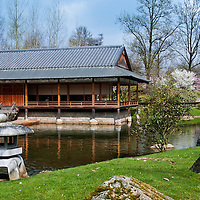 Cherry blossoms bloom pink and white each spring at the Japanese Garden of Hasselt, Belgium. The Belgian Royal Greenhouses located in Laeken, Brussels are open to the public each spring for several weeks. 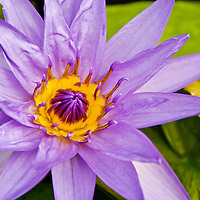 The flowers and plants on display range from tropical plants and giant ferns to Fuchsias, geraniums and Rhododendrons. 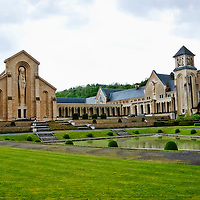 Orval Abbey, Florenville, Belgium is a Cistercian monastery famous for Trappist beer and cheese. 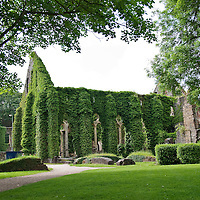 Stock and Fine Art photos from the abbey ruins of Villers-la-Ville in Wallonia, Belgium.